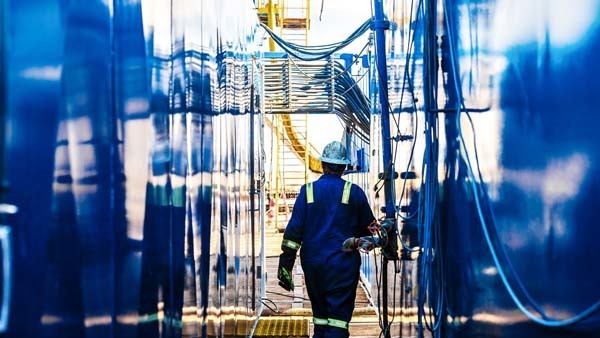 A recent survey has suggested that nearly half of oil and gas professionals are concerned about an “impending talent emergency”. The third annual report from the Global Energy Talent Index (GETI), which interviewed 17,000 people in the oil & gas industry, revealed that 20% of those felt that the crisis had already arrived, whilst another 28% expected further problems within the next five years. The report highlighted that engineering roles are facing the largest skills shortage. Despite the doom and gloom predictions, 81% of under 25s were still optimistic about a career in oil and gas, so the talent pool is still there if companies can provide the right training and opportunities. The oil and gas downturn of 2014-15 saw a large cull of talent across the board and also soured the mood of many workers over the stability of the industry. This is where the roots of a skills shortage were grown. However, long before that oil market swoon, the seeds had been sown with a decline in apprenticeships and training as companies were flush with cash and simply went to the recruitment market to fill a short-term demand. The downturn saw many workers leave the Aberdeen area or gravitate to other sectors, with technology firms in particular being a source of competition for engineering talent. Fears over the viability of future oil economics have also created a talent drain towards the decommissioning sector. This would be a good time for companies in the oil and gas industry to assess their organisations for signs of a pending skills shortage in order to make their businesses more sustainable going forward. The first task for managers would be to look at their staff model from top-to-bottom in order to find their own potential “emergency” points. Senior staff approaching retirement or hoarding knowledge is one example of risk. A lack of apprenticeships is another, and will affect the bottom line of the company later if talent hiring is always done at fully-trained levels or in high-demand roles. Allowing staff to stagnate in unproductive or comfortable roles would be another issue that doesn't suit the goals of the business or the morale of employees, so additional training or role transitioning could be a better option than an external hire. In Part 2 we will discuss how to fill gaps in your company as the oil & gas market recovers.